Designer Jim Bede first conceived N500BD as an ultralight powered glider. 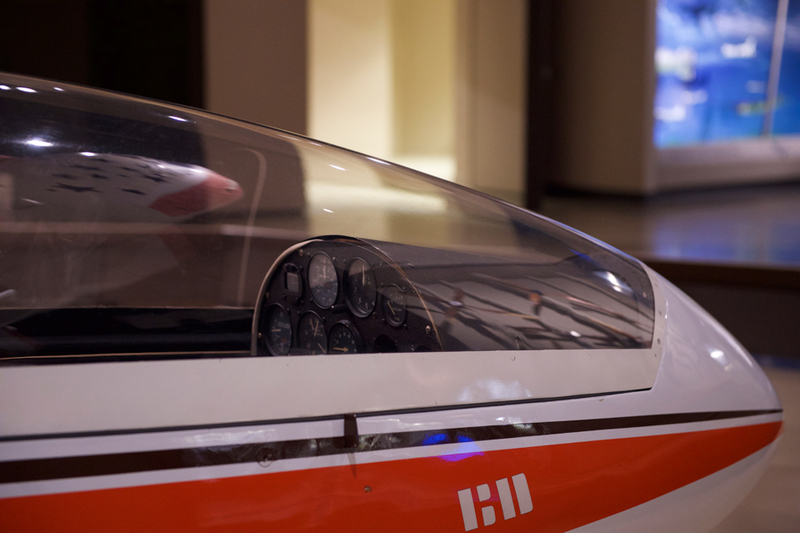 The aircraft was built in 1970 and first flown in September of 1971 at Hutchinson, Kansas, with Bede at the controls. 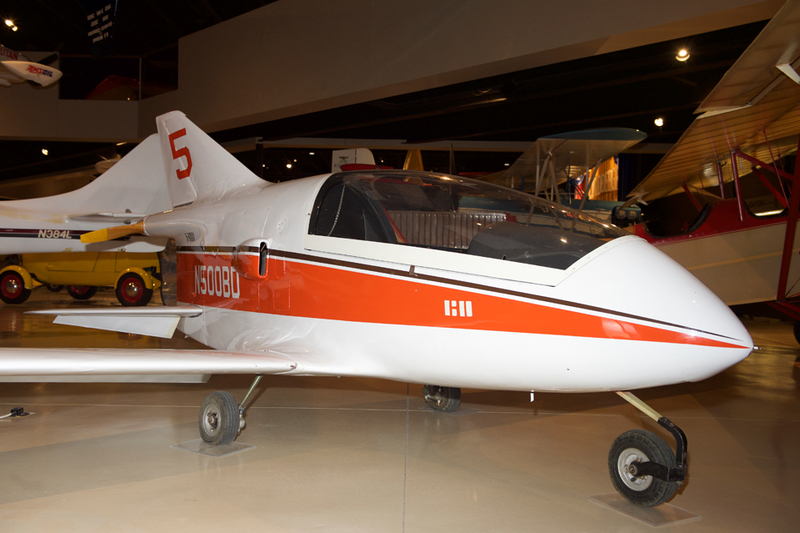 The prototype BD-5 differs from all later models in that it has a bolted angle frame and a fiberglass outer fuselage shell; later versions have a stamped aluminum semi-monocoque fuselage. 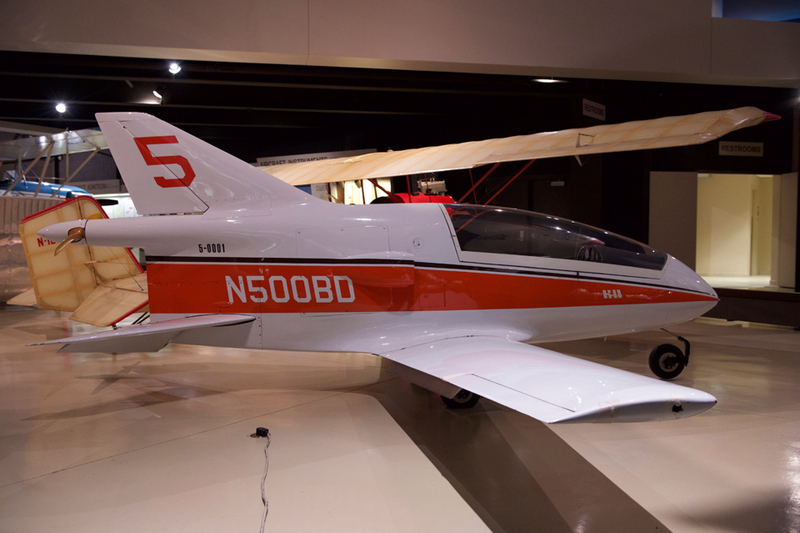 This BD-5 served as a test bed for many of the early modifications to the basic BD-5 design. Originally powered by a 36-hp Polaris snowmobile engine, it was later fitted with a Kiekhaefer 440cc engine of 40 hp and finally, a 720cc 55-hp Hirth. 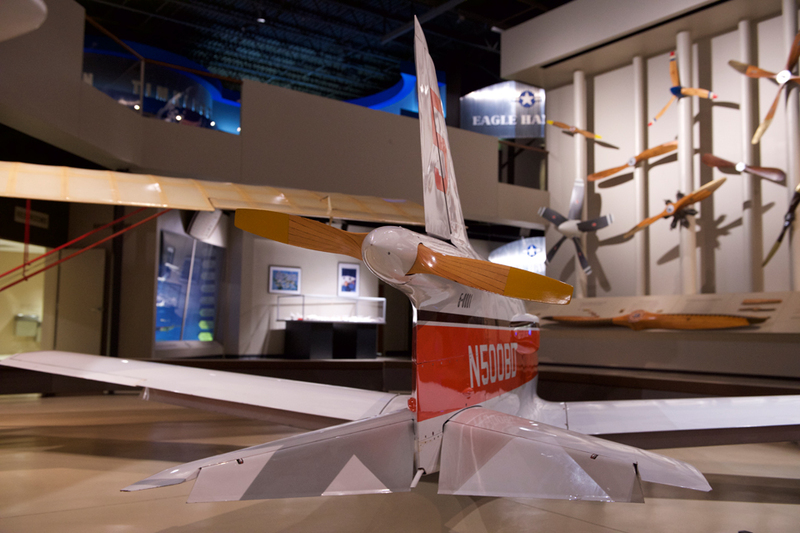 This airframe was also used to change from the original V-tail configuration to the present design. 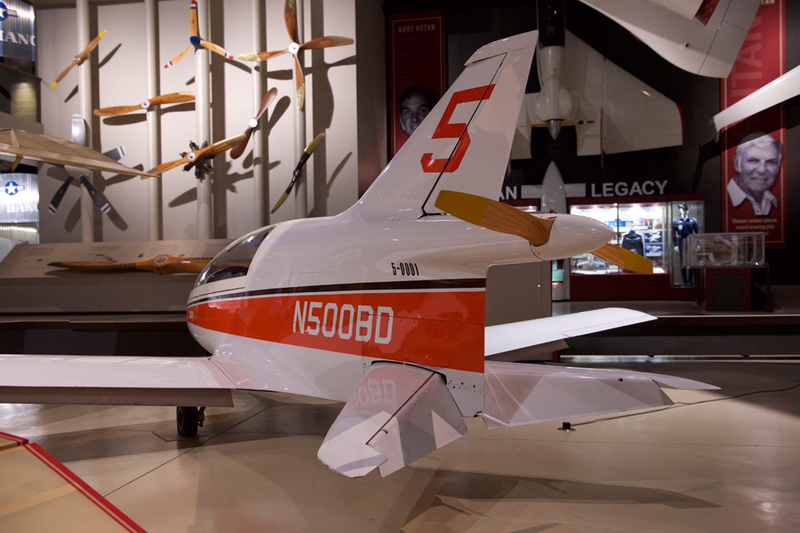 When originally placed in the EAA Museum at Hales Corners, the BD-5 was small enough to come through the front door, with the wings carried in – one under each arm.